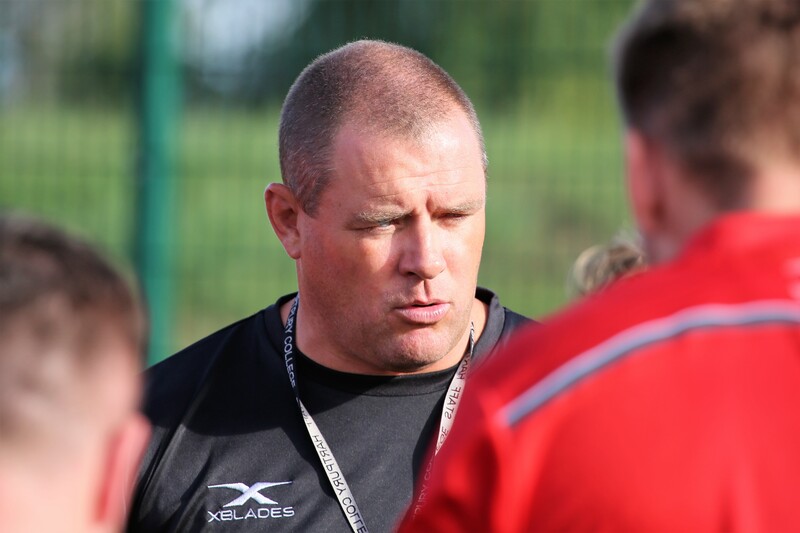 Hartpury travel to London Irish in the Championship Cup on Sunday, in the knowledge that the team that defeated them in their previous two outings – Cornish Pirates – shipped more than 60 points on their own recent visit to Reading’s Madejski Stadium. However, the Red & Blacks will come into the game buoyed by a much-improved performance in the last fixture versus the Cornishmen, in which only a well-taken try from the final play of the game denied them a full share of the points. “I thought that game was a big improvement over the past three or four weeks,” said Head coach, Mark Cornwell. There were some good individual performances on the day and, despite one costly error – an over-cooked penalty kick which led, indirectly, to a Pirates score – Cornwell was impressed by the display of on-loan Worcester Warriors outside-half, Luke Scully. “He’s a confident, maturing ‘10’ who organises very well,” he said. Hartpury only gave up five penalties in the Pirates match, which might look like a disciplinary triumph, but Cornwell points to the tackle law experiment being run during the Championship Cup competition as a key contributor. “In the previous week, the referee hardly took his whistle out of his mouth and yet in the most recent game there was barely anything,” he said. Looking ahead, Cornwell has few doubts regarding the size of the task against last season’s Premiership team. Hartpury will name their team later today. Sunday’s match kicks off at 3pm.